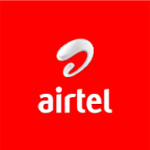 Airtel Nigeria is one of Nigeria’s telecommunications giants and even though they acquired network license and a customer base from Zain when they acquired the network in the year 200*. They’ve been able to prove over the years that they their intention mainly is to provide their customers with quality network services both Voice and Data. Currently, they have one of the best Internet data speed with reasonable data plans and at affordable prices and the recent introduction of their 2G based internet plan has internet surfing even cheaper for Nigerians. 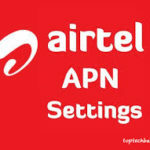 Airtel Nigeria has numerous tariff plans all with different highlighting features, some are more data inclined, some are voice based, while some of their seeks to create a balance between the two or would offer bonus on each recharge. Of course, to enjoy any of Airtel Nigeria Tariff or data plans you’ll need to recharge your Airtel Line and how would you recharge without knowing the USSD code to recharge with? 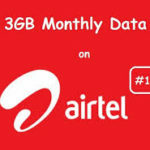 Airtel Nigeria has a unique USSD recharge code that can only be used to recharge Airtel lines and of course it can only work if it an Airtel recharge voucher or card. The unique code is *126*recharge pin#, the recharge pin being 16 digit in numbers, no more no less, anything more than that or lesser is not an Airtel recharge card, except if Airtel in the future to change their recharge pin numbers. For example if the recharge pin is 123456789101112, you’ll simply dial *126*123456789101112# and press the send button on your phone to successfully recharge your Airtel line. 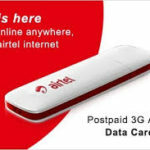 Airtel also has an interesting and exciting special USSD recharge code that gives their customers a whooping 600% bonus on any of their recharge using this special USSD recharge code. This special USSD recharge code is the same as that of MTN, *555*recharge pin# for normal recharge, but it shouldn’t be mistaken for it as it wouldn’t work with an MTN recharge voucher. You get N600 Bonus to call, text and use PayG data. 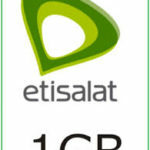 Same for other recharge above N100. However, this bonus would not reflect on your main balance, it’d only reflect on a special balance called the 6xbonus which you can check by dialing *123#. 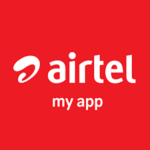 How can i load from my bank mobileapp for Airtel line and enjoy the bonus of *555*pin#. I am aware of the normal loading, but what i dont know is how to load online and enjoy the benefit of *555*pin#. Or is it not possible?